SPRAT48 in (1.2 m) Sternal Attachment Lanyard. 6ft Free Fall Potential. SPRAT 48 in (1.2 m) Sternal Attachment Lanyard. 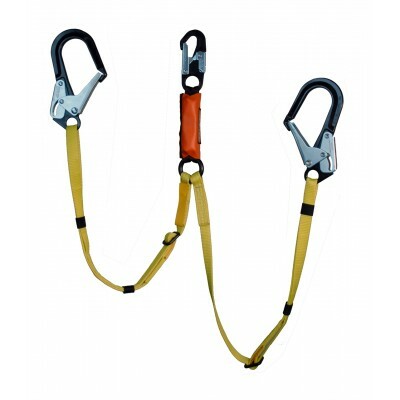 6ft Free..
SPRAT 48 in (1.2 m) Sternal Attachment Lanyard. 6ft Free Fall Potential. This test was with 280 lbe ..
Yates ANSI FR 40cm Lanyard w/ PETZL ASAP Lock® & Car..
Yates ANSI FR 40cm Lanyard w/ PETZL ASAP Lock® & Carabiner YATES Lanyard for PETZL ASAP also ..
NEW Adjustable positioning lanyard with BlueWater ArmorTe..
NEW Adjustable positioning lanyard with BlueWater ArmorTech™ Rope Lanyard and ISC RAD Adjuster. Lany..